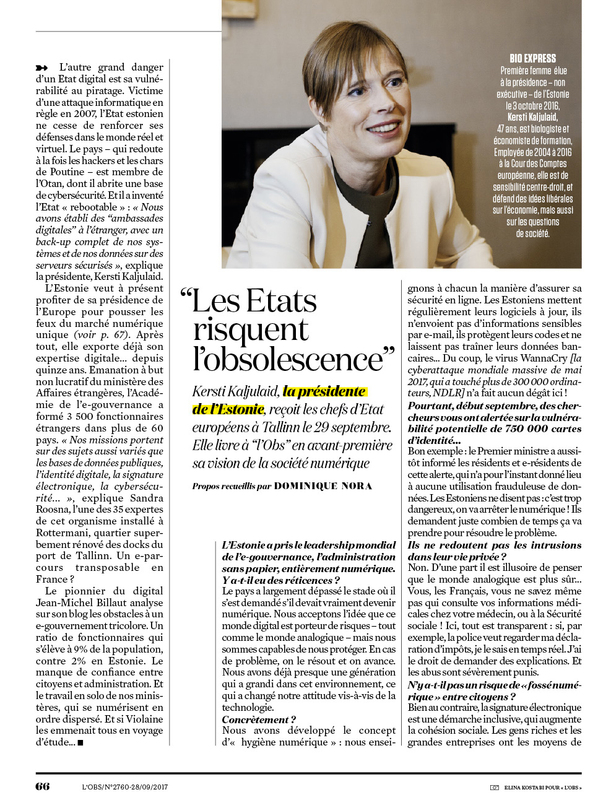 It was pleasure to work together with journalist Dominique Nora and weekly French news magazine Le Nouvel Observateur (L'OBS) on the topic very close to my heart - Estonian success in digitalisation. The story was published on the opening day of the Tallinn Digital Summit. Online issue pages are here and here.